My Baggage is the No.1 Student Shipping Company and can be used to send care packages to university for students. Many parents often choose to send parcels to their children at university, containing gifts, food, utensils or study materials. It’s a great way to show them you’re thinking of them and help them make their student budgets stretch further, by providing them with essential items which they won’t have to buy for themselves. As recent university graduates, we can confirm that a care package from home is ALWAYS welcome! When you’re feeling a bit stressed and homesick, there’s nothing quite like receiving a special parcel from your parents or loved ones. Especially if it has food inside! To send a care package, all you have to do is book online with My Baggage. We will then collect the package from you and deliver it straight to the recipient at university halls, their student house or flat. It takes just a couple of minutes to book and pay for your care package online and if you have any questions along the way, you can contact our customer support team via phone, email or live chat. As well as door to door collection and delivery of your care package, we also provide full online tracking, so you can keep an eye on your shipment every step of the way, and notify the recipient as to when their parcel from home will arrive. We also provide email and SMS notifications which you can opt-in to receive during booking. You can send a multitude of items with My Baggage, But before you hit the ‘Book’ button, we recommend taking a look at our list of prohibited and non-compensation items. Prohibited items are items which can not be carried on our service and any person sending such an item may be subject to their order being cancelled and will not receive a refund. If the item is collected it will not be covered by compensation cover. We provide £100 free compensation cover which you can increase up to £1,000 during booking if you wish. However, if the items you are sending are on our non-compensation list, you may send them at your own risk, but they will not be covered by compensation if they are damaged or lost. When Will The Care Package Arrive? 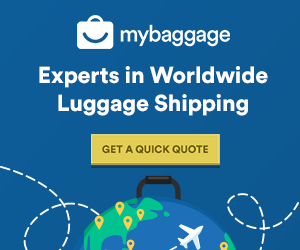 My Baggage provides super fast delivery times of 1-2 days within the UK or 2-4 days on items sent worldwide. Delivery times will depend on your route and you will be able to see estimated delivery times when you get a quote. You can book with My Baggage up until 10pm the night before your collection or as far in advance as you like. We aim to provide a student shipping service that’s flexible around you. Where Can I Send To? We offer door to door service to all towns and cities in the UK, the rest of Europe and to 200+ countries worldwide. This can be especially useful if you’d like to send a care package to someone studying abroad or taking a gap year. We have great low prices on all shipments, within the UK and overseas. You can get a quote online any time and we also offer a great Price Match tool – which means if you find a cheaper price elsewhere, you can let us know and we’ll try our best to beat it.